The Baltimore Brigade announced today the signing of quarterback Randy Hippeard, the Arena Football League’s 2017 Most Valuable Player and Offensive Player of the Year. In 2017, Hippeard led the AFL in passing yards (3,506), completions (328), attempts (494), fewest interceptions thrown (8) and ranked second in passing touchdowns (80). 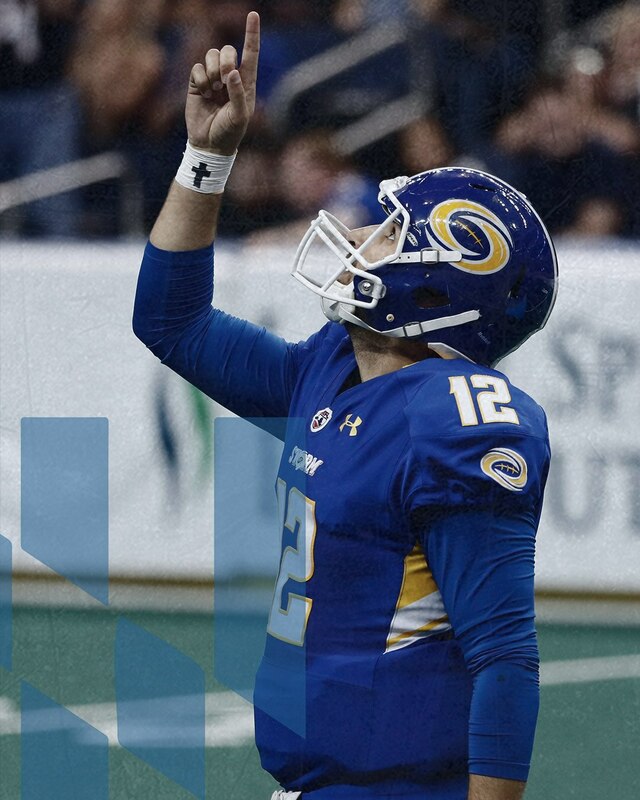 A five-year AFL veteran, Hippeard played three seasons with the Tampa Bay Storm (2013, 2014, 2017) and two seasons with the Orlando Predators (2015, 2016), accumulating 15,185 passing yards and 323 passing touchdowns. Originally from Stafford, Va., Hippeard attended and played at the University of Virginia-Wise from 2005-08 and was named Mid-South Conference Player of the Year as a senior. Before joining the Storm in 2013, Hippeard spent time with the Winterthur Warriors (Switzerland), Columbus Lions (PIFL) and the Knoxville Nighthawks (PIFL).